Office 365 tenant to tenant migration & co-existence. In the event of a merger or acquisition, Essential helps you with migrating between or managing several Office 365 tenants. With several challenges to contend with, our expertise and choice of vendor products will help you navigate the optimum solution for your needs. If you're moving between Office 365 tenants, it's the equivalent to migrating between totally separate Exchange environments. Migrating data between domains is just the tip of the iceberg, especially if you need multiple domains to co-exist seamlessly for any length of time. You need a mechanism for synchronising contacts and free/busy information to ensure co-workers can email and collaborate easily. You may also want to make multiple tenants ‘look like’ a single domain to the outside world – especially in the event of a merger. There's other things to transfer across, including security, privacy, anti-spam and retention management settings. Essential combines best-of-breed solutions with expert services to assist with your tenant to tenant migrations, including Mailbox, SharePoint & OneDrive content. 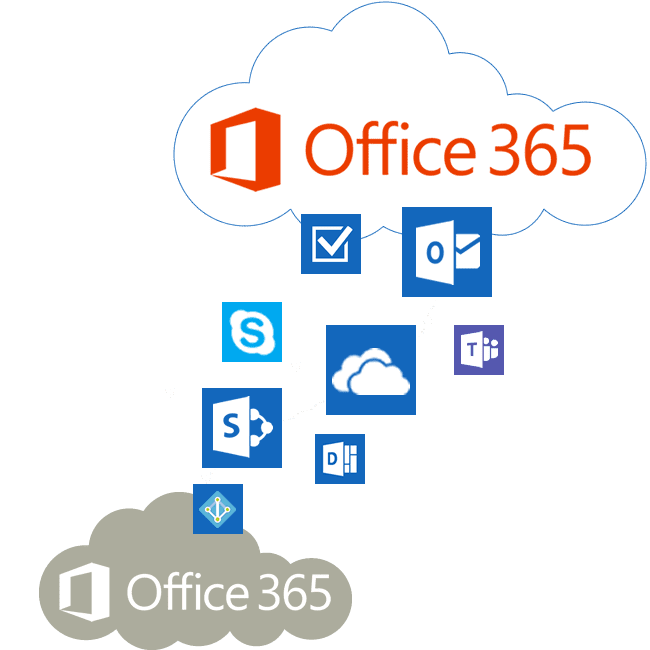 We offer a full suite of Office 365 migration tools to cover all your needs, including enterprise coexistence (calendar free/busy, mail routing and GALSync) that will enable your users to work seamlessly (and your clients to maintain contact) as you transition. Move a OneDrive environment to OneDrive or SharePoint Online in another tenant. We can help you audit and report on your existing environment to help plan, configure and granularly migrate content. You can choose to keep or overwrite existing files at the OneDrive or SharePoint destination, as well as whether to migrate metadata such as file creation details. No matter how complex your SharePoint environment, we can help you work out the optimum migration or upgrade path. Start your project with an in-depth profile of your current environment, where we'll also look at permissions, governance and usage. From this you can determine what needs to be moved (and what can be excluded), fix any problems and get an overall view of how much effort is involved. Re-branding a new tenant and helping drive user adoption of the new SharePoint site can also be included as part of our service. The content and libraries you need are moved using the latest technology and APIs for fast and simple migrations that maintain data integrity, permission levels, version histories and metadata. We can also import from shared drives, Google Drive and Drop Box into SharePoint libraries and export data that will not go to the new SharePoint into Shared drives.